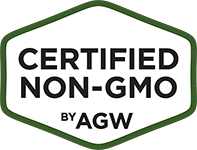 In response to farmer interest in labeling, Animal Welfare Approved has launched a new labeling section. The site is designed to help farmers and processors navigate the labeling process and serves as the portal for accessing Animal Welfare Approved's free labeling service for certified farms. 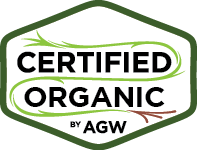 Featuring labeling guidance, information on claims approval and a gallery of approved labels, the new site and service can save producers time and effort in creating an attractive, effective label for certified products. And as with AWA certification, there is no charge for this service for farmers in the program. 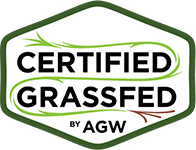 Farms interested in certification should visit AWA’s Certification page for more information. Farmers and processors can use the information in AWA’s new online labeling resource to help distinguish their pastured products in the marketplace, and consumers and retailers will be able to use these resources to ensure they are sourcing sustainable products.The launch of AWA’s new labeling section coincides with the release of “Food Labeling for Dummies,” AWA’s new comprehensive guide for consumers. The Raleigh News & Observer's restaurant critic Greg Cox came out with his annual recognition for local restaurants today. Topping the list as "Restaurant of the Year" is the new Bella Mia, the coal-fired pizzeria in Cary, NC. According to Cox, "Its blistery-crusted pies immediately raised the bar far above anything the area has ever seen." AWA is proud to announce that all of the beef used by Bella Mia is supplied by Rare Earth Farms of Zebulon, NC. 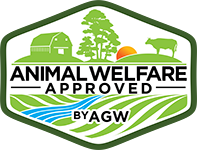 Animal Welfare Approved farms also supplying Gold, Silver and "Best in Class" award winners include Border Springs Farm (lamb), Cane Creek Farm (pork), Captain John S. Pope Farm (lamb), Cohen Farm (eggs), Fowl Attitude Farm (eggs), and High Ground Farm (eggs). For ethical eaters attending this year’s Big Apple BBQ in New York City June 12-13, a visit to legendary pitmaster Ed Mitchell and The Pit restaurant booth will be an exceptional opportunity to satisfy a hunger for ‘cue while supporting family farmers raising their animals with the highest humane standards. The Pit, of Raleigh, North Carolina, will be serving its signature whole-hog barbecue made exclusively from Animal Welfare Approved pastured pork supplied by the North Carolina Natural Hog Growers Association (NCNHGA). Pastured pork means the pork comes from pigs raised outdoors, on pasture, where they enjoy sunlight and mud baths in natural surroundings. For eaters, AWA pastured pork means there is no conflict between what your taste buds savor and what your conscience demands. Animal Welfare Approved staff will be on-hand to run contest giveaways of limited edition AWA “I (HEART) Pastured Pork” T-shirts and backpacks, apply temporary tattoos, and answer questions about farm animal welfare and the Animal Welfare Approved program. “We’re proud of our farmers and proud of our program,” says Animal Welfare Approved Program Director Andrew Gunther. “Since we can’t really shout it from the rooftops, we thought t-shirts would be fun.” All visitors who sign up for the Animal Welfare Approved e-mail list will receive a free drawstring backpack. We were thrilled to hear from Dan Gibson this weekend about his farm being featured on WMHT. Take a look! A farm visit is featured at first, followed by a cooking segment. And nice cap there Dan!